Let's hear it for the boys (sorry couldn't resist!). 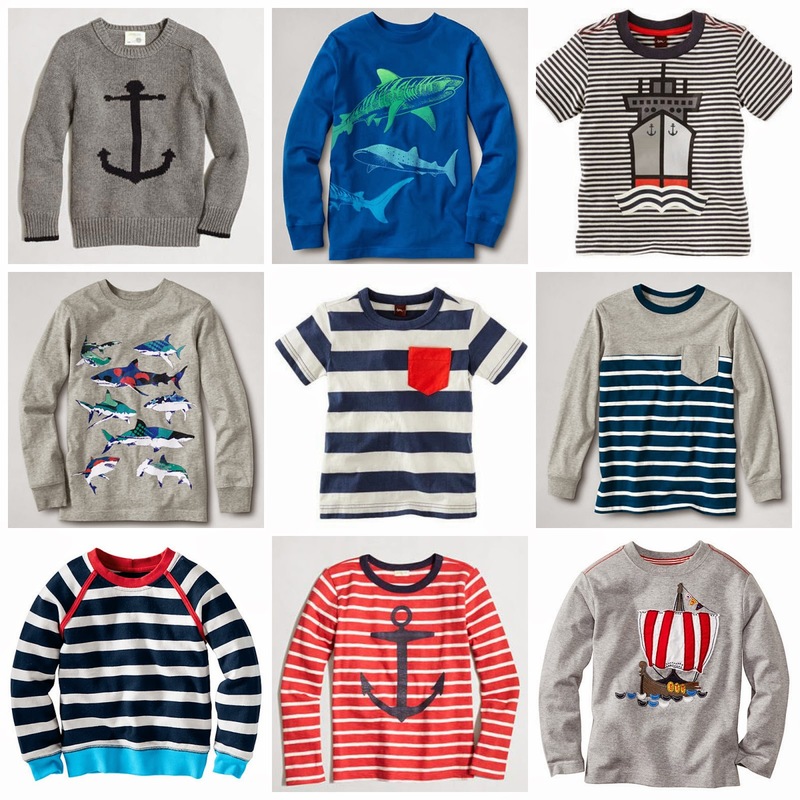 I am sharing my favorite nautical tops for boys, both short sleeve and long sleeve. Plus I added three looks with a fun lobster shirt. How cute is this lobster shirt?! While it is still warm you can pair it with shorts. 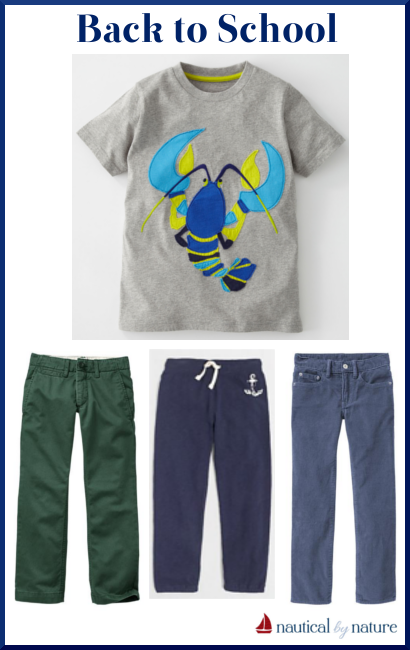 As it gets cooler, and depending on your child's style, you can pair it with khakis, sweats, or cords! So cute! I'm glad sharks are in right now. Nolan picked five new shark shirts for school clothes. Plus we just had (are having?) shark week so that helps!